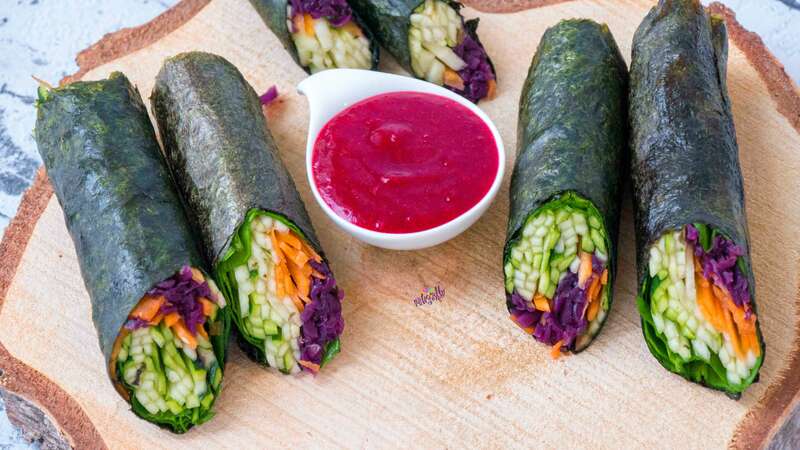 I’m currently obsessed with nori and making sushi rolls with it, or simply adding it to zoodle dishes. It adds a really nice savoury umami taste. It’s even better when it softens up, that’s just how I like it. So I always use dipping sauces or orange juice to dip it and make it soft. 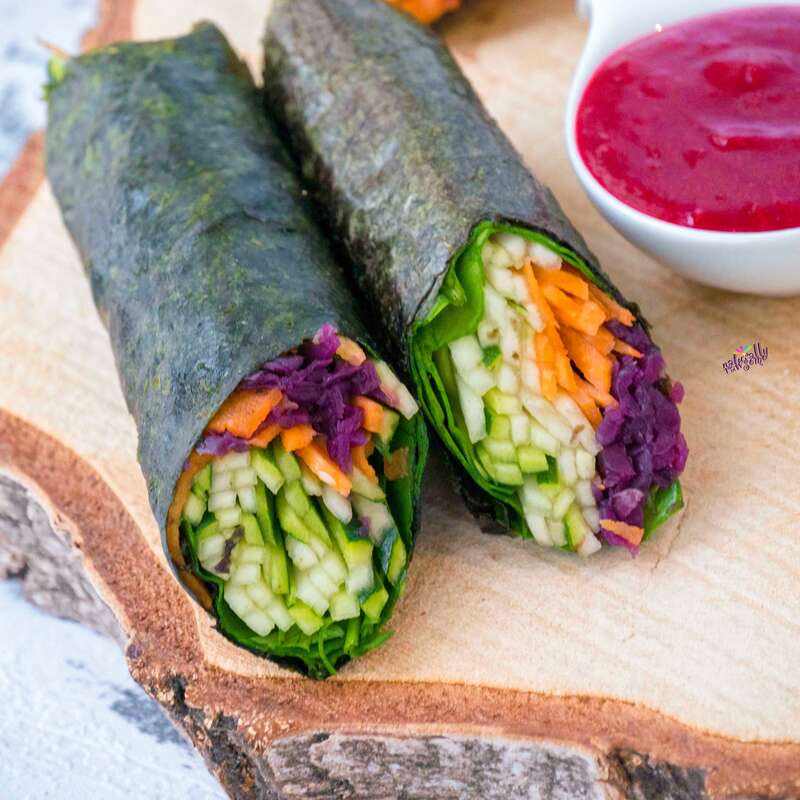 Place the nori sheet on a cutting board and place a few spinach leaves on one end. Add the julienned zucchini, carrot and sauerkraut and start rolling it up. Use a little bit of water to seal the end with the roll. Serve it with your favorite dipping sauce. I used a cranberry sauce.